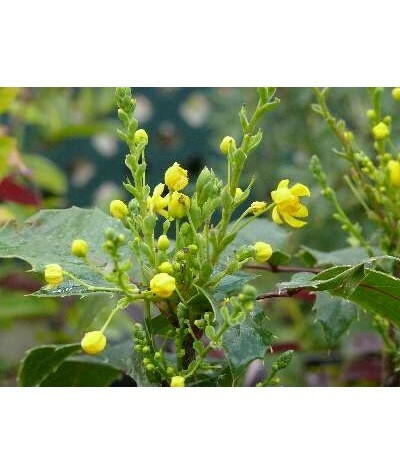 A compact, dwarf shrub with bronze-green leaves with clusters of mildly scented, bright yellow flowers in spring followed by blue-black berries from late summer. 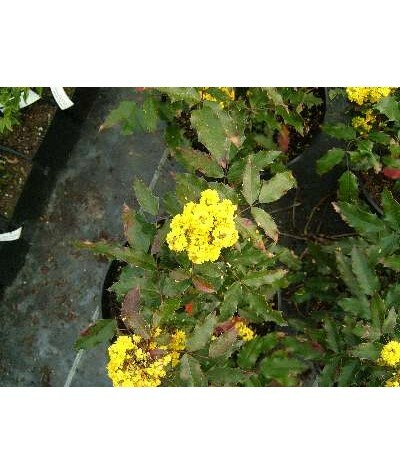 Excellent as a ground cover for a s..
Good evergreen shrub which bears clusters of bright yellow flowers in April and May. Rich red/purple foliage in winter and early spring. Height 2-4 feet. Any soil in sun or shade. ..
NEW RELEASE FOR 2013! Long, serrated, spine free, leathery, deep green leaves make a beautiful shrub suitable for pots and borders. Topped with racemes of bright yellow flowers in Autumn. 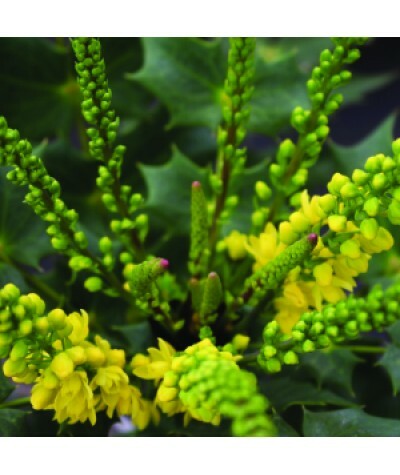 Height an..
An erect shrub with blue-green leaves, sharply toothed. 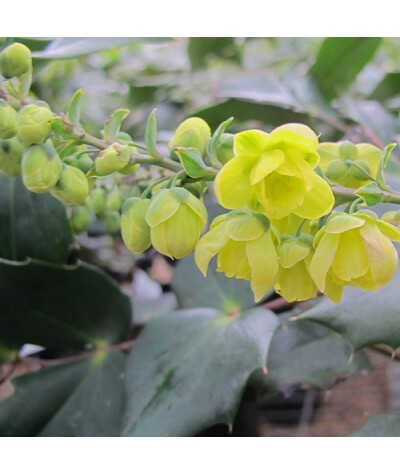 Fragrant pale yellow flowers late autumn to early spring followed by purple-blue berries. 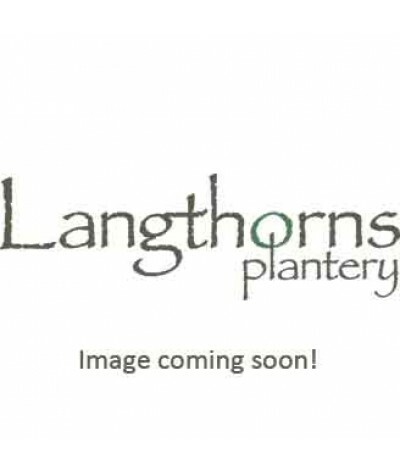 Height 2m Spread 3m ..
Long, dark green, pinnate leaves with spiny leaflets. This is one of the parents to many of the media hybrids and can be used to dramatic effect in woodlands or in a shady corner of the garden. In ..
Racemes of yellow lily of the valley scented flowers above rosettes of dark holly like leaves from December to March. Height and Spread to around 2.5m x 2m. Evergreen. 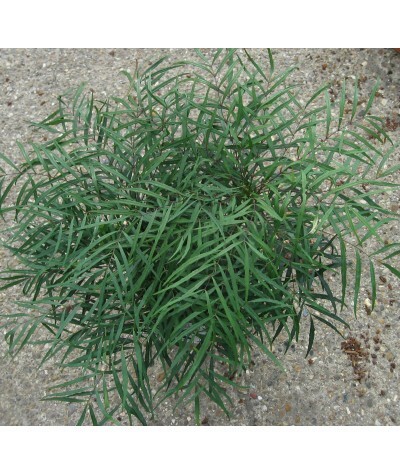 Ideal for shade or ..
Bushy, prickly, upright evergreen with pinnate leaves, bronze when young. 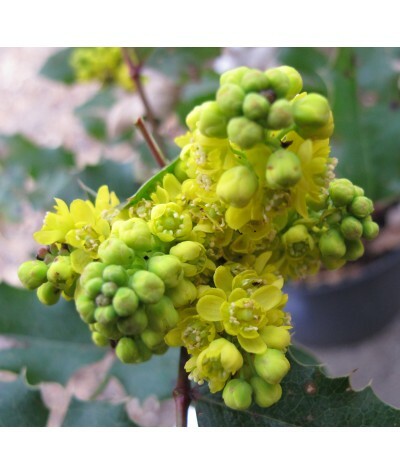 Dense racemes of yellow flowers in spring, followed by white-bloomed, blue-black fruits. Height and spread to around 1.5m. 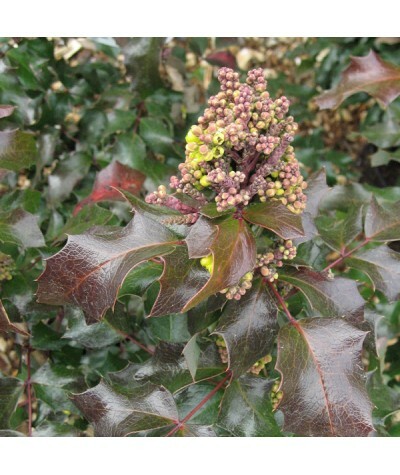 Sup..
Upright evergreen shrub with dark green, wavy pinnate leaves that turn plum-purple in winter. Mildly scented yellow flowers in spring followed by blue-black berries. Makes a superb specimen for bor..